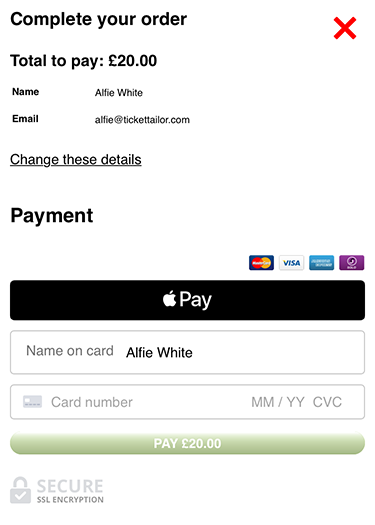 Apple Pay allows your ticket buyers who have Apple Pay enabled devices to checkout in an instant using their fingerprint instead of entering their card details. 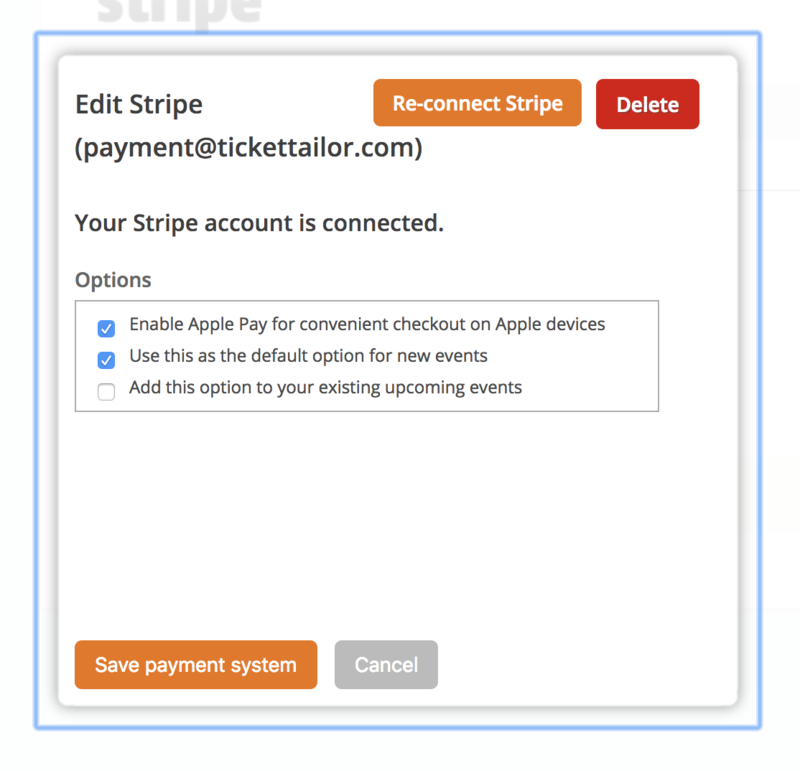 To set up Apple Pay first make sure you have a Stripe account set up that is connected to Ticket Tailor. Click here to learn how to do that. Go to Box Office Setup and navigate to Payment Systems. Click on your Stripe account and a popup should appear as shown in the screenshot below. Tick the box that says "Enable Apply Pay ..." and click Save payment system. That's it! 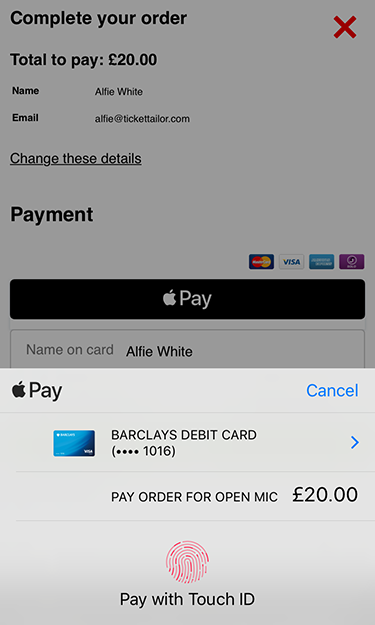 Apple Pay is now available for your ticket buyers. Tapping the Apple Pay button will allow them to check out in an instant.